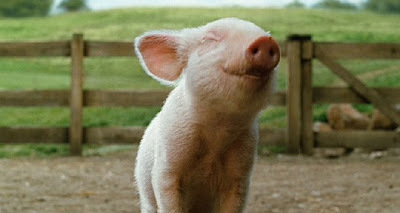 Scientists Grow Bacon from Pig Stem Cells ~ Could this Lead to the End of the Cruel Treatment of Animals? In an effort to make meat production more humane and alleviate hunger, Dutch researchers have created a breakthrough by enabling meat production to continue without resorting to slaughtering an animal. “If we took the stem cells from one pig and multiplied it by a factor of a million, we would need one million fewer pigs to get the same amount of meat,” said Mark Post, a biologist at Maastricht University involved in the project.This new technology, if supported by the population and further developed by researchers and corporations who understand the virtues of such a technological breakthrough, could spell the end of the mistreatment of all animals and curb world food shortages in every corner of the globe.